The 1958, “Life” magazine advertisement touted sugar as the pure energy food for growing boys. As a child we mixed sugar and cinnamon in a shaker to be sprinkled over white toast covered with margarine. What a treat! At the time none had any idea how unhealthy the choice but it mattered not. I guess it is a wonder we survived. Obesity was uncommon for we were always sent outside to play. 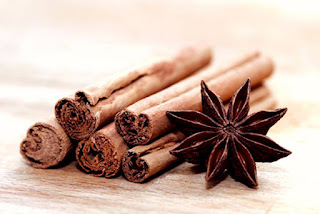 We had no idea that cinnamon was a tree bark or that is was good for blood sugar control. We didn’t even know it was mentioned in the Bible as holy anointing oil or as a perfume for the lover’s bed. We did not know that in ancient times its source was a closely guarded secret by spice traders. We did not know that the Portuguese, Dutch, and British fought over the territory of Ceylon (Sri Lanka) for the precious spice. Sri Lanka was the source for the true cinnamon (Cinnamonum verum). Cassia, also mentioned in the Bible, from China is a more common spice and likely the product you purchase in stores. Ceylon cinnamon is more aromatic, but cassia has a stronger flavor. A 2003 study by the National Institute of Health demonstrated that cinnamon reduced blood glucose levels in type 2 diabetics. It also improved triglycerides 23 to 30%, and cholesterol 12 to 27%. Cinnamon has also been reported as a potent antiviral. Ceylon cinnamon is a super food/herb that can be taken as a daily tonic for individuals with type 2 diabetes. One teaspoonful in water daily is the usual dose. Of course diabetics should avoid sugar, corn syrup and diet soft drinks. Cinnamon, especially cassia, is not intended for use in pregnancy or individuals taking blood thinners as it can increase bleeding.